"What fucked up person came up with this?" I asked. Giant Sparrow creative director Ian Dallas sheepishly raised his hand. He knew I wasn't admonishing him, though; the expression on my face and the excitement in my voice gave that away. I was just really happy to be sitting next to the mind that came up with the twisted ways of What Remains of Edith Finch? For as happy as I was, that probably wasn't the intent. After playing just a touch of What Remains of Edith Finch?, it's overwhelmingly clear that happiness won't be an overarching theme. Death and sorrow will be. So will intrigue and mystery. Maybe it will even evoke a dark enthusiasm. But, joy, bliss, and happiness will likely not be found anywhere. That's because this game deals with a family that just can't seem to stay alive. Throughout generations, when one family member dies, the others seal off the room they died in as a grave eternal testament to their memory. When the number of deceased relatives surpasses the number of rooms, everyone just kind of adds onto the house in whatever way they can. The result is an oddly-shaped misfit of a home, one that awkwardly reaches for the sky and towers over even the tallest evergreens in the Washington forest. I was overcome by curiosity when I first saw this house in the distance. I wanted to explore every inch of this family's makeshift mansion; I wanted to glean any information about them that I possibly could, as if I were playing Gone Home all over again. That curiosity was quickly stunted as I realized that there simply isn't that much in Edith Finch to explore -- not yet anyway. Hallway after hallway was adorned by locked doors with nothing but nameplates and years on them. After looking at maybe the third one of these which told of a particularly premature death, I remarked "Sad. He didn't live very long at all." "You'll find that's a recurring theme in this family," Dallas quickly replied. What Remains of Edith Finch? is exceptionally dark in that it doesn't just speak of all this tragedy; it shows it. The majority of the game is made up of chapters wherein you relive exactly how the individual family members die. And, each one looks to be drenched in just as much mystery as morbidity. The one playable instance during our demo told of the untimely fate of a small boy, maybe seven years old at most. One night, he awoke to great hunger pangs. 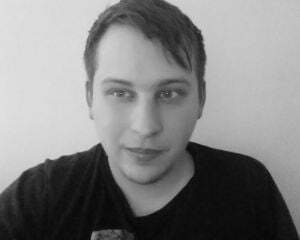 With a self-narration that proved to be equal parts adorable and macabre, he set off to do what any child in that situation would: find something to eat. The bathroom didn't hold much to satisfy his growling tummy, as he consumed a tube of toothpaste that didn't quite sate his appetite. It was then that he turned into a cat on the prowl for a bird to eat. With some guided platforming, he chased the feathered creature from branch to branch in hot pursuit. Eventually he caught up, devoured the unfortunate jay, and suddenly transformed again. Now, the little boy was an owl in a snowstorm. Rabbits ran through the fields below, and he swooped down to pick them up, three in total. Disturbingly, Edith Finch presented each of these hares being gulped down from a first-person perspective (as the whole game is), completely devoid of gore yet still unsettling. He noted how full they were making him, but how he wanted to keep consuming more. Then, he was a shark in the open waters taking giant chunks out of a seal. As the seal bloodied the water, he got more and more frenzied. Finally, he morphed into a sea monster -- one who navigated the deck of a ship and crept up on unsuspecting sailors before killing them. Almost as quickly as it all began, it was over. The boy was back in his room. He crawled under his bed, somehow knowing the fate he was destined to suffer. Maybe more disconcerting was that he seemed at terms with it. He knew this monster would kill him, and that was that. I don't fully understand exactly what happened to this little child, but then again, I don't think I'm supposed to. 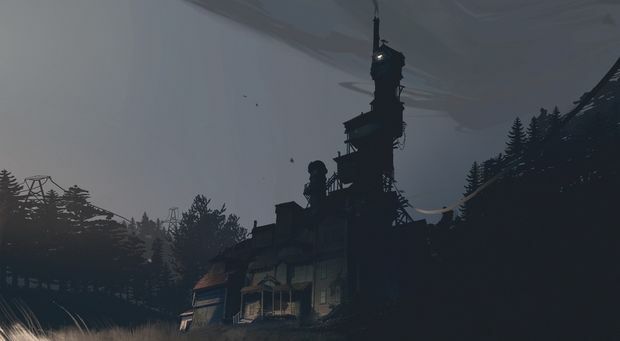 There's clearly a mystery that What Remains of Edith Finch? has buried across it's twenty or so short stories, and it's one that I'm ridiculously excited to unravel.